This is the first edition of our new ‘Focus On’ series, in which will cover the new features which BW2 have to offer. To kick off this series, we will start by looking at ‘The Hidden Hollows’. Do you remember those days when you were young? Hanging out with your friends, building secret bases in forests, and trees? – do you remember that feeling of security you used to feel when you’d stumble upon a cove within some rocks, or a hallowed out area within some bushes? Well now you can experience that sensation again within the Unova Region. Throughout the Unova Region are several areas known as the ‘Hidden Hollows’, these are secluded areas which are located behind the gaps between two trees. The player needs to interact with the trees as they travel in hopes of stumbling across one of these areas. Upon finding one of these areas, its general look is very unimpressive, and is quite easily mistaken for something of little importance. A small path, surrounded with little grass, and darkened by the towering trees in which encase it, occasionally letting in the sunlight as the overhead branches sway within the breeze. But it is this small area, which gives trainers the opportunity to get their hands on some very unique items and Pokémon. How many of you guys use the Dream World trying to find a specific Pokémon for its Hidden Ability? Well now you can do that from the comfort of your game, as the Hidden Hollows can give out Pokémon with Hidden Abilities – this Pokémon is usually one that can be caught within the wild from the surrounding area where the Hidden Hollow is located. You may also find standard items, located centrally within the Hollow, as well as hidden items only accessible with the Dowsing Mchn. Another great aspect of the Pokémon within these Hollows is that there’s a chance they can be female, which means you can breed them with the hope of successfully passing on their hidden ability. The great thing about the Hidden Hollows is that they regenerate, meaning once you’ve caught the Pokémon within it and picked up any items, that is not the end. Every time you take 256 steps within the game, there is a 5% chance that each of the Hollows will refresh and regenerate. This 5% chance can be increased via ‘Pass Power’ within the game, using ‘Hidden Hallow’ Power. 40% chance of containing a new item. 40% chance of containing a new hidden item. 20% chance of containing a new Pokémon. 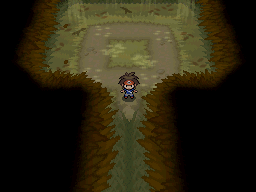 ‘Hidden Hollows’ can be found at the following locations: Route 2, 3, 5, 6, 7, 9, 13, 18, 22, 23, Sangi Ranch, Pinwheel Forest, Lostlorn Forest, Giant Chasm and Abundant Shrine. Are you a huge ‘Eeveelution’ fan such as myself? And always been frustrated by the fact that in previous games there has been a restriction to the number of ‘in-game’ Eevees you can capture, and have had to breed more to complete the set or use other methods? Well you guys will be thrilled to know that each time the Hollows regenerate, there is a chance that an Eevee will appear in one of them, meaning no more walking for hours on end hatching eggs! As the game progresses, and your feet take you further afield, the Pokémon in which you find in these areas become stronger, and some areas even contain rare Pokémon! So what do you guys think of the ‘Hidden Hollows’? Are there any Pokémon in particular you’d like to see appear within them? What abilities do you hope to get your hands on? Comment below and let us know!